תלמידים ממליצים - KPT Language School, Koh Phangan & Phuket. page not found For the sake of viewer convenience, the content is shown below in this site default language. You may click one of the links to switch the site language to another available language. Hello, my Name is Marcel and i’m from Germany. In April 2013 i came first time to the beautiful island of Koh Phangan. Immdiately i fell in love and decided to get deeper into the culture of Thailand. The best way to do so, is to learn the language. I already started to learn some vocabulary back home but realized quiet quickly that this won’t work so well. 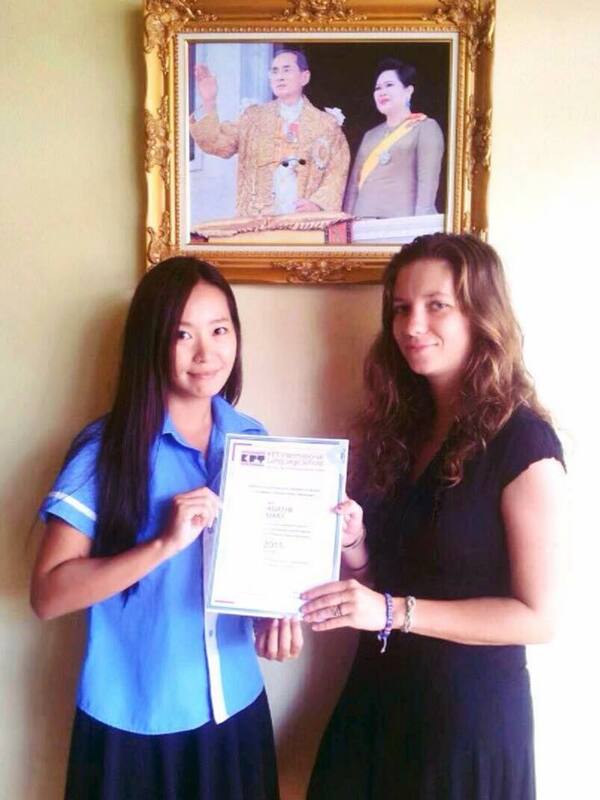 When i came back in August last year , i planned to stay for a year to do a proper language course at a school, so i got in contact with KPT Language school. Knowing, to learn a language that is completly different from any romanian language, i haven’t been very confident to get by with. Then the first lessons begun, held by Kru Kay, and my opinion start to change. Small classes, familiar environment and Kay’s way of teaching, made me loose my timidity very quickly and gain skills that fast, faster than i ever could imagine. Now, 120 hours later i’m able to read, write and speak Thai in a way i never dreamed about. For that i want to thank the whole Team, including Uri, Lilly, Palm, Nhoi and especially Kru Kay. I haven’t only gained new language skills, i also found new friends. I’ve been living in Koh Phangan for 2 years now, and after a year of border runs and tourist visas, I signed up for the first level at KPT. Hi! My name is Dzhema, I'm from Moscow, Russia. What was difficult at first, she made easy! I'm so thankful to all the staff: Nhoi, Palm, Lilly and all my fellow students for making this an experience I will never forget.